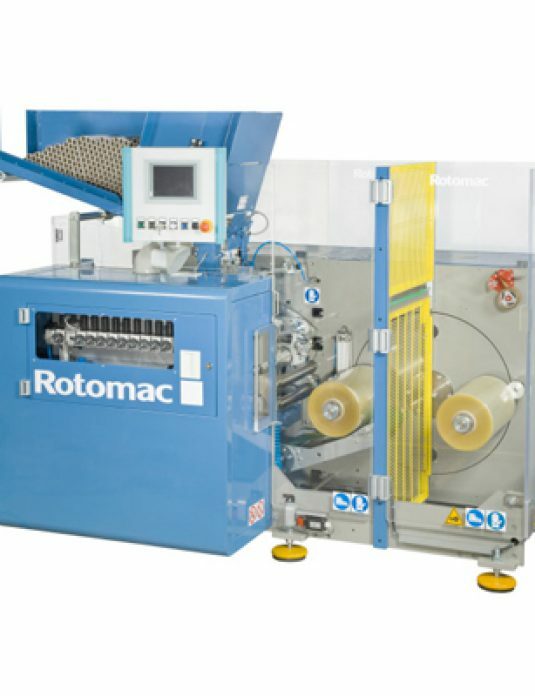 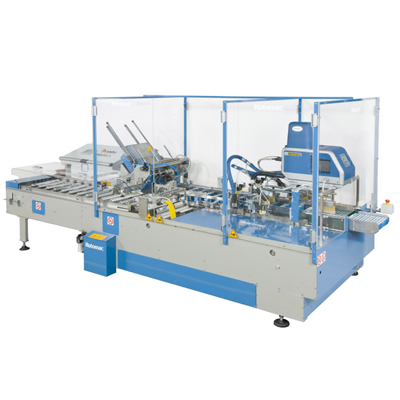 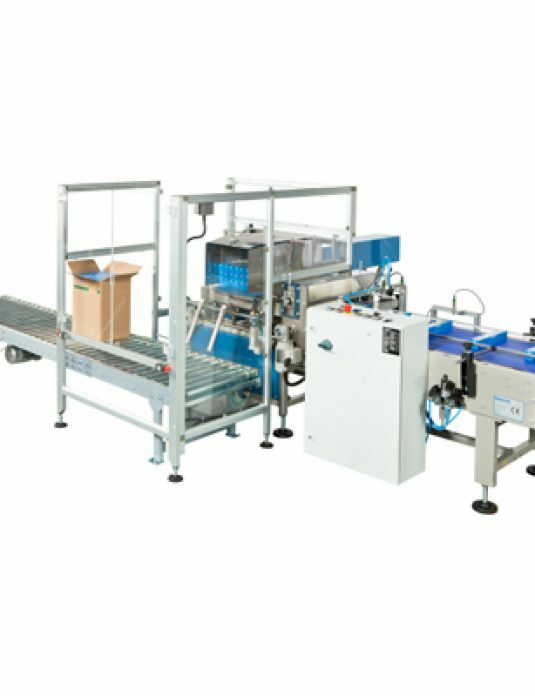 Rotomac’s automatic shrink wrapping model 620 can be connected to one or more automatic rewinding machines. 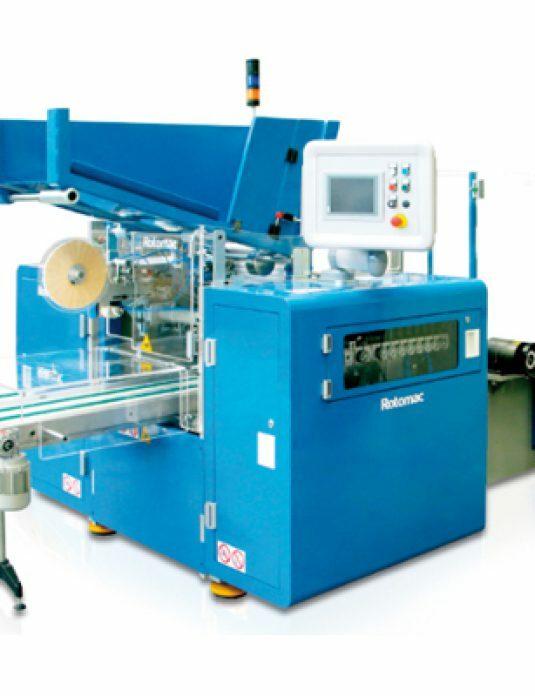 The unit over-wraps the rolls using a single reel of plastic film with heat guns shrinking the film on both ends of the rolls. 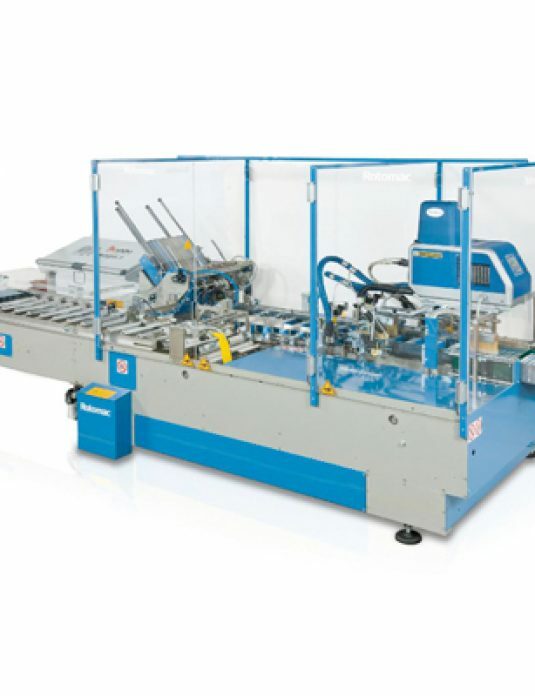 The film can be plain or pre-printed.